The Routeburn Track is another hiking gem of Aotearoa. If you don’t have the time for the three-day trek or simply enjoy day walks, the track offers a great hike to the Routeburn Falls Hut. 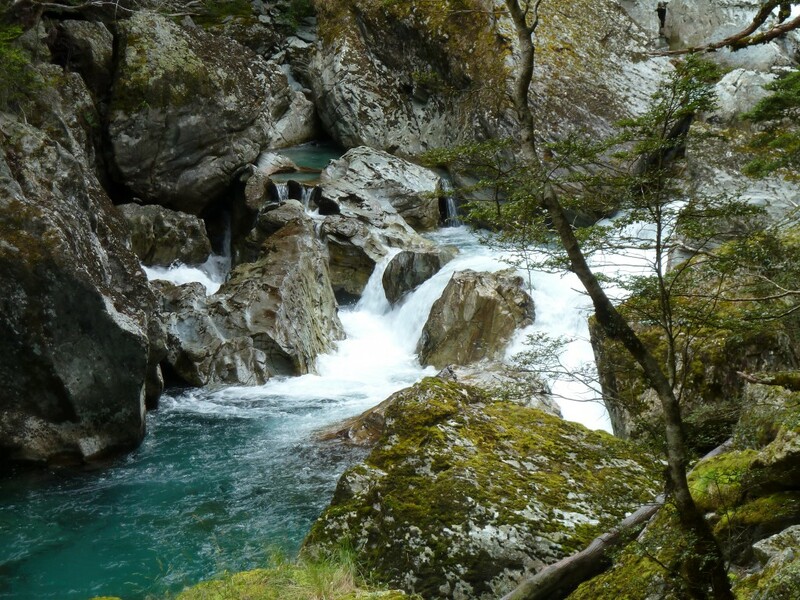 On this one day hike, you will experience the crystal clear turquoise waters of the Routeburn river, gorges, chasms, waterfalls, beech forest and great views on the climb up to the falls hut. The Routeburn Track is really one of New Zealand’s most gorgeous. The track encompasses both the Mount Aspiring and Fiordland National Parks. Access to this walk is from Queenstown or Glenorchy. The road end has a large carpark with toilet facilities. 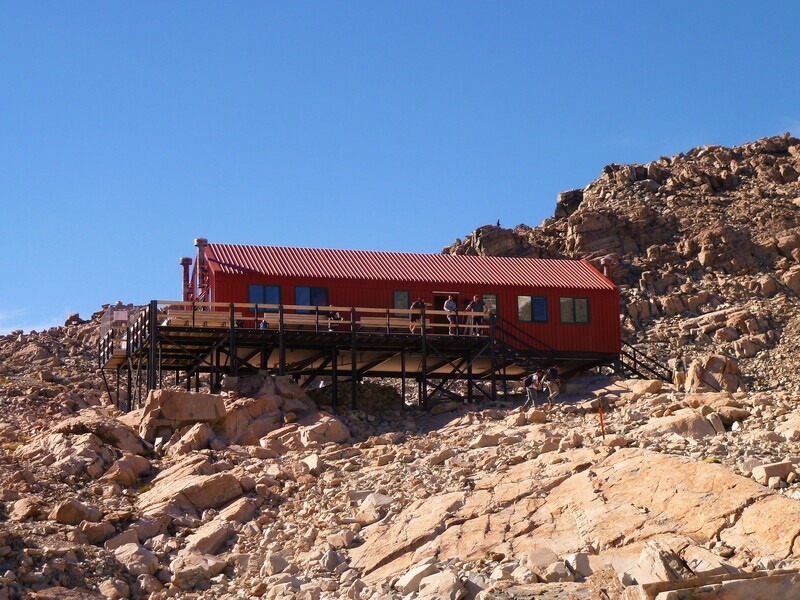 From the carpark to Routeburn Flats Hut: 6.5 km, 2 – 2.5 hours. The tracks start from the carpark shelter and head across a footbridge where the track winds gently through red beech forest, crossing two more footbridges over side streams. 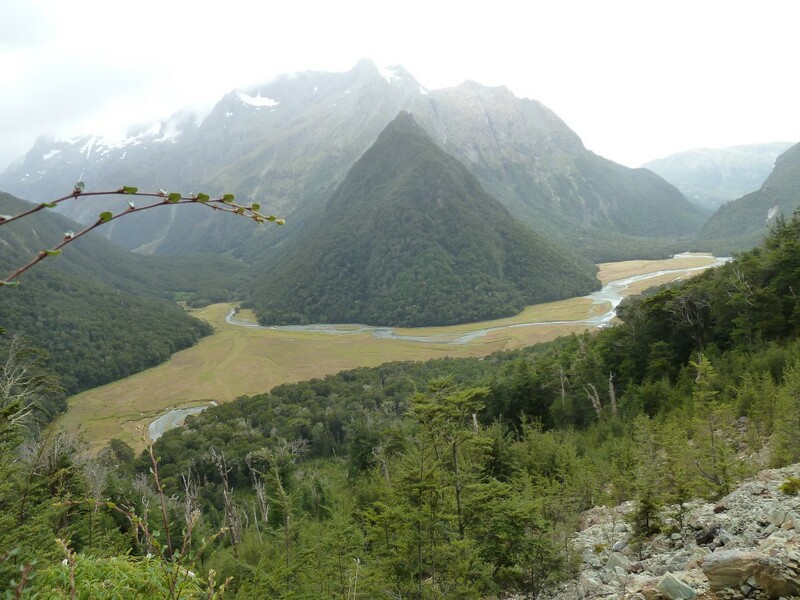 The valley narrows and the track climbs gently beside a gorge with the Routeburn river flowing below. At the top of the gorge, another footbridge takes you across the river and a further 30 minutes of walking brings you to the Routeburn Flats Hut, which is on the edge of open river flats. If you were after a shorter walk this would be the perfect alternative (4-5 hours return). From the flats the track climbs steadily through more beech forest, crossing two footbridges with great views of the valley as you go. The climbs about 300 metres with Emily creek bridge considered the halfway point. The Routeburn Falls Hut lies on the edge of the bush line, with stunning views over the valley below and the surrounding mountains. 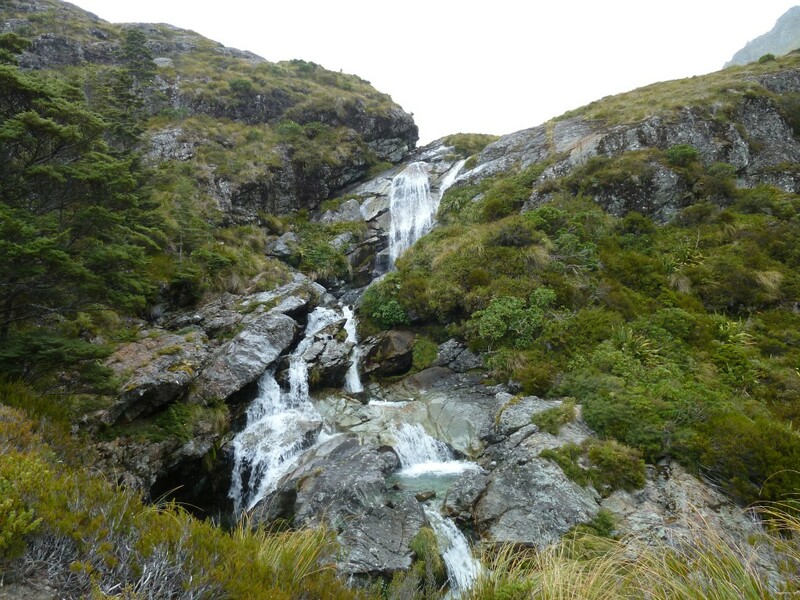 The falls, a series of cascades, is a few minutes’ walk above the hut. Return to the carpark on the same track, total walking time 6-8 hours for this hike. The Routeburn Falls Hut with the valley below. The drive from Queenstown to the start of the Routeburn Track is approximately 70 kilometres, travel time is around 1.5 hours. Take the Glenorchy-Queenstown road into Glenorchy. From Glenorchy its about 40 minutes, 25 kilometres. Turn right into Mull Street, which continues onto the Glenorchy-Paradise Road. Turn left onto Priory Road, which continues onto Glenorchy-Routeburn Road, then turn right after the bridge onto Routeburn Road, this is a gravel road, follow it until you reach the car park and toilet facilities. Signs are clearly visible and it is easy to find. If you’re a visual person like myself check out google maps for the route from Glenorchy to the Routeburn Track Shelter. If your backpacking, or don’t have your own transport, for access to the South Island’s Routeburn Track, try info&track. For more information on what to bring on the Routeburn Track and other great day walks in New Zealand. Check my blog on what to take hiking. To print the above map, click on Routeburn Falls Hut highlighted at the top of the map. The printing and PDF option at the bottom of this page will print or download the post except for the map. Once selected, choose actions to print the map. This map gives great information for getting to the start of the track, however, it’s only a guide of the route, for more detail on the track click on the topomap below, and this can also be printed. For more information on where the ascents and descents are. Plus the distance and height at any point on the map, click on Routeburn Falls Hut highlighted at the top of the map. This will enlarge the map. Then click the box to show elevation, the graph will appear below the map. Run your cursor over the elevation graph, this will display on the map where the ascents and descents are. It will also give you the distance and height at any point on the map. It’s a useful tool for planning your walk. The topomap below gives similar information, especially the ascents and descents. However, you need to know how to read those maps to get that information. The mapometer map gives you that information and more by simply moving the cursor over the graph. There is a large range of accommodation options in Queenstown, from backpacker hostels, motels and hotels. Self-contained apartments to luxury private retreats are also available. I use Booking.com and Cheap hotel for all my accommodation needs and have found them to be very good, they offer great deals and rates on all accommodation types. Check them out to see what they have to offer. Interested in seeing another South Island park? Take a look around the website to learn about other walks, such as The Abel Tasman National Park. It’s a great way to see the rest of the country. Thanks for your message. 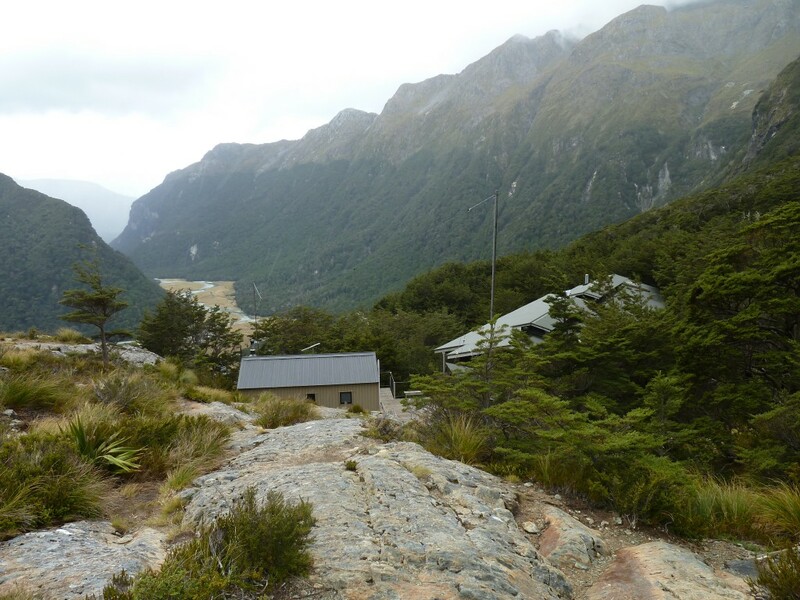 This is a day walk to the Routeburn Falls Hut and yes you return to the carpark on the same track. Alternatively you could spend the night in the hut and return the next day. I’m planning to do this track in november. Is it a beautiful track? I mean, are the views worth it? You might want to check this out too.